I've finally done it - I watched North & South! If you remember, back this summer I admitted to mixing up North & South and Downtown Abbey. Never again will that happen! While I have finished season one of DA, I still can't say I'm in love with it. The same cannot be said about North & South though. Not even possible. After writing and editing for twelve hours straight one Saturday, I needed a little inspiration-filler-up, so I fired up my Netflix and settled in to watch the first part of the four-part miniseries. I was only going to watch just the one. Nearly four hours later I had a giddy smile on my face and tears in my eyes. If you haven't seen it - you'll want to. Each character intrigued me. The entire story line pulled me in. And Mr. Thornton? Yeah. If you like Mr. Darcy, you're gonna love Mr. Thornton. And the last scene at the train station...I still sigh. Seriously. Watch it. It's the weekend. You can spare an hour...or four...right? I watched this when I was home sick a few months ago. LOVED! Now I can say I've seen both North & South mini-series! Happy Friday! Yay! I knew you'd love it! 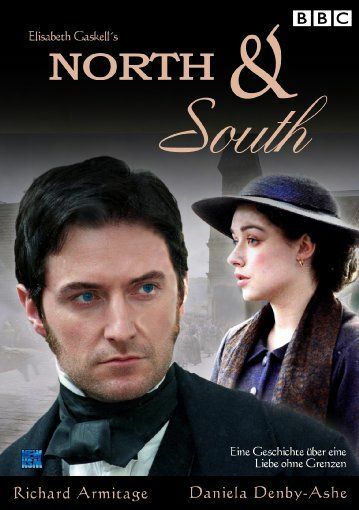 I love North & South so much. I watch it twice a year, at least!